Dinner at Zhejiang Heen. Dr. Katharina Prüm introduced her wines. 2014 Joh. Jos. 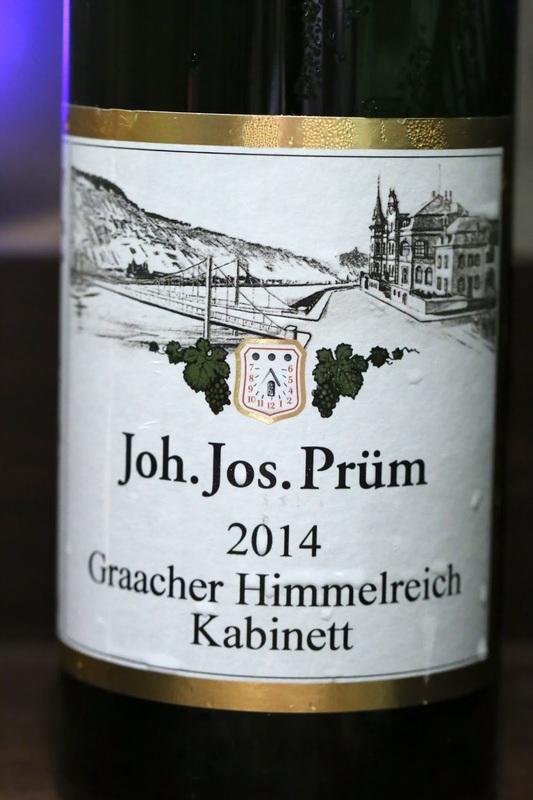 Prüm Graacher Himmelreich Riesling Kabinett, from magnum - plenty of flint, polyurethane, almost a little floral and clearly jasmine. 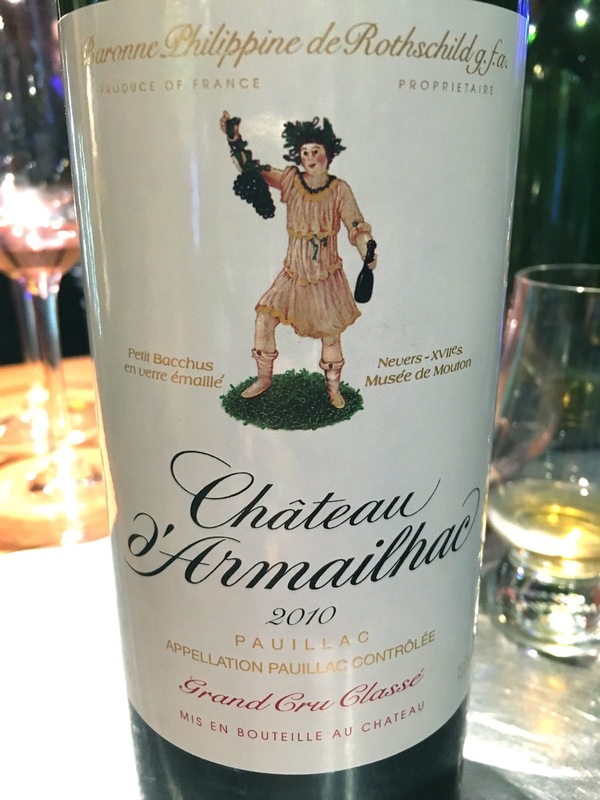 Relatively high acidity but with some residual sugar. 2007 Joh. Jos. 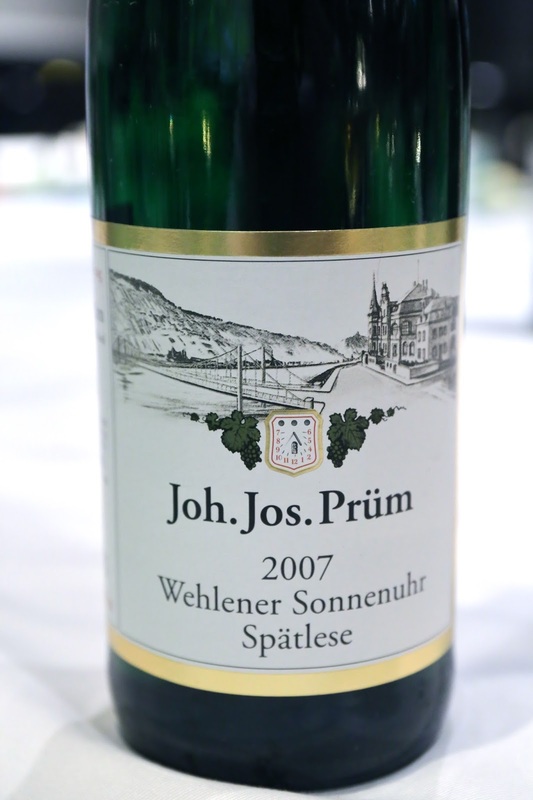 Prüm Wehlener Sonnenuhr Riesling Spätlese - leaner on the nose, with more pungent polyurethane. Rounder on the palate with more sweetness. Very lovely to drink now. 1987 Joh. Jos. 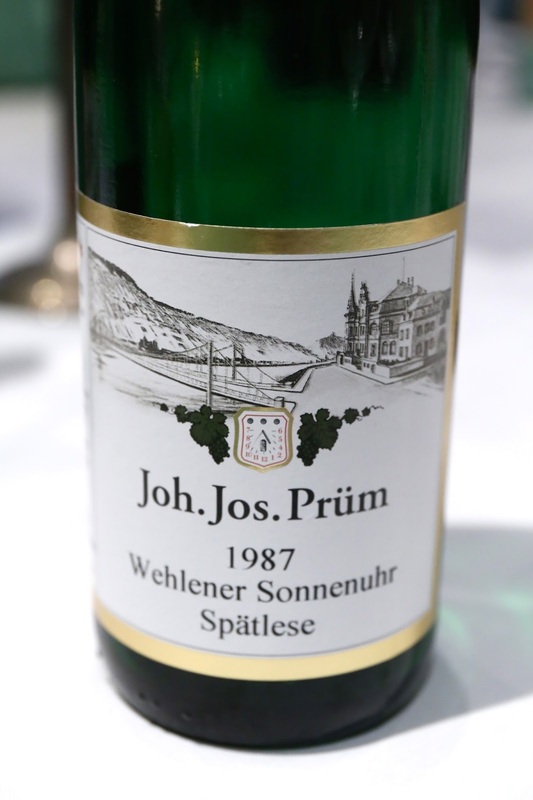 Prüm Wehlener Sonnenuhr Riesling Spätlese - lots of polyurethane, a little more white pepper, more acetone, fragrant. 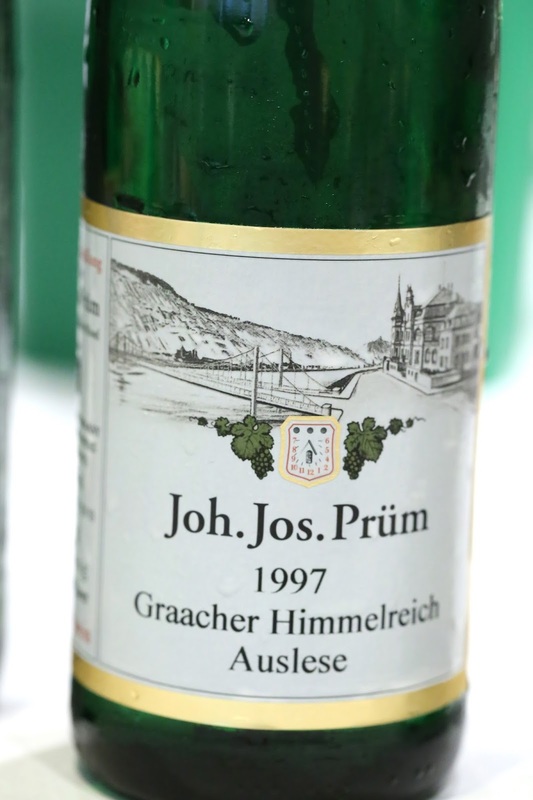 Much higher acidity on the palate than expected, with almost no noticeable sugar. Good length on the palate. 1998 Joh. Jos. 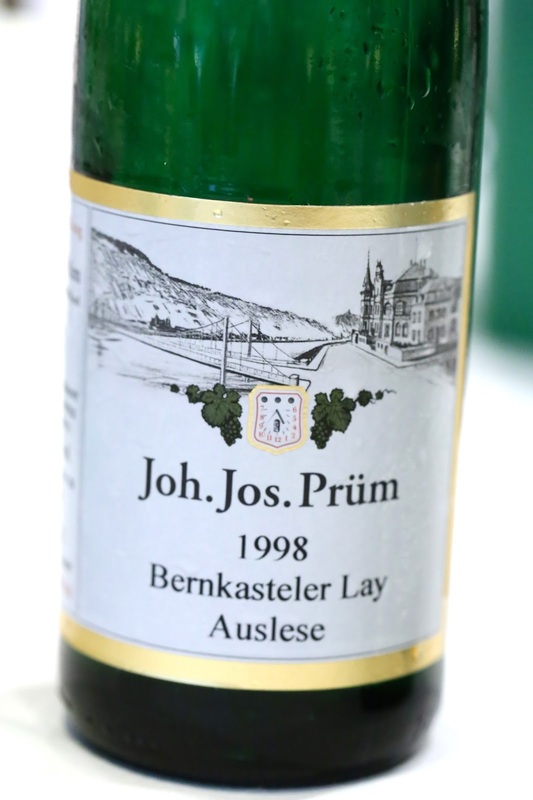 Prüm Bernkasteler Lay Riesling Auslese - much more fragrant and complex, more evolved, with acetone, a little minerals. Pretty sweet but still good acidity on the finish. 1997 Joh. Jos. 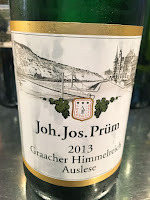 Prüm Graacher Himmelreich Riesling Auslese - more pungent and plastic, more flint, slate, white pepper. Sharper on the nose. Still nice and smooth on the palate. 1995 Joh. Jos. 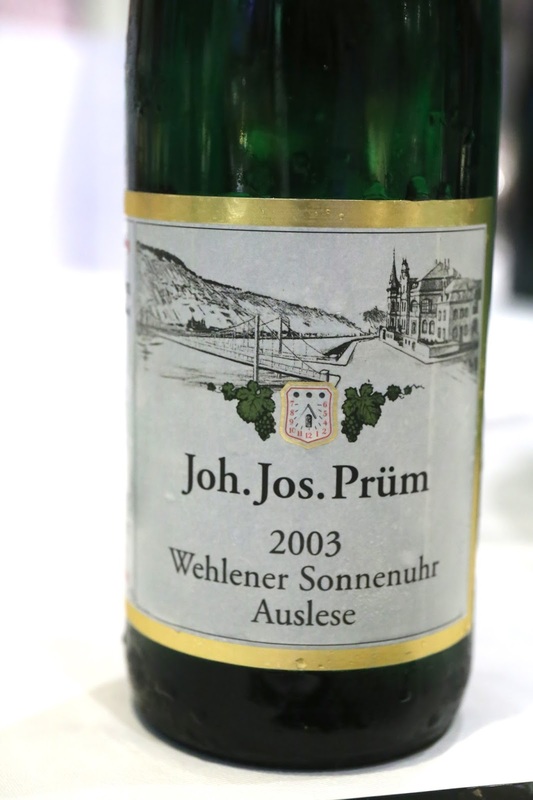 Prüm Wehlener Sonnenuhr Riesling Auslese - very, very floral, with white flowers. 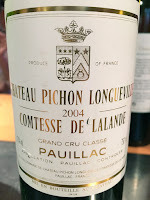 Later on the floral notes faded a little to make way for wax and acetone. 2003 Joh. Jos. Prüm Graacher Himmelreich Riesling Auslese Goldkapsel - very floral, with lots of white flowers, a little bit of slate, and plenty of polyurethane. 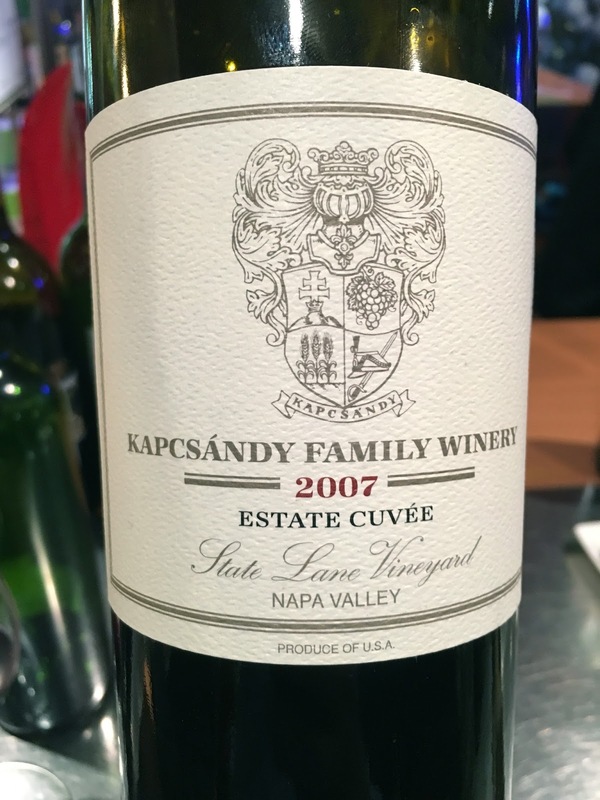 Sweeter and richer on the palate, also more viscous. 2003 Joh. Jos. 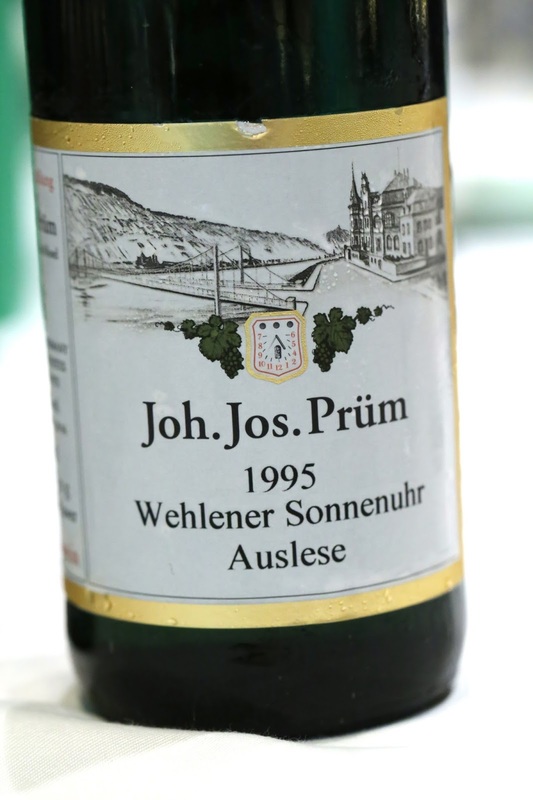 Prüm Wehlener Sonnenuhr Riesling Auslese Goldkapsel - lean on the nose, with flint, white pepper, white flowers. 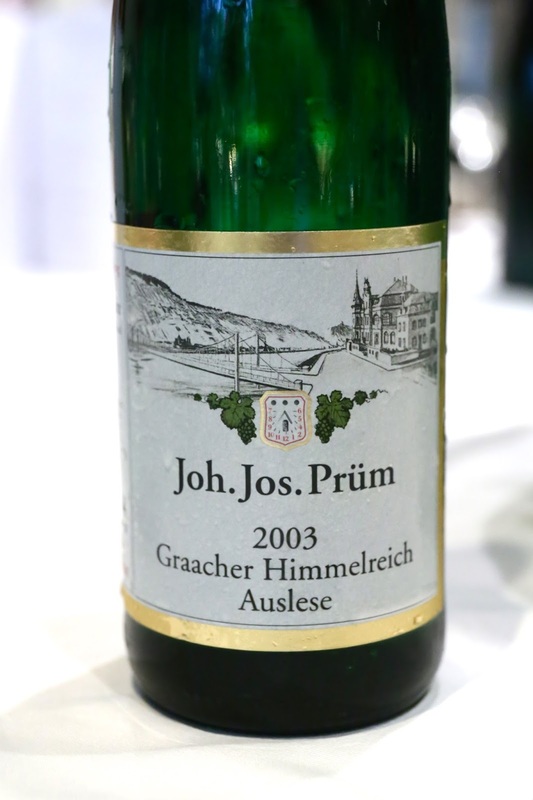 Kinda sweet but drier than the Graacher Himmelreich, with sweetness coming on the back half of the palate. Opened up more and showed more white flowers. Good length here. 2006 Joh. Jos. 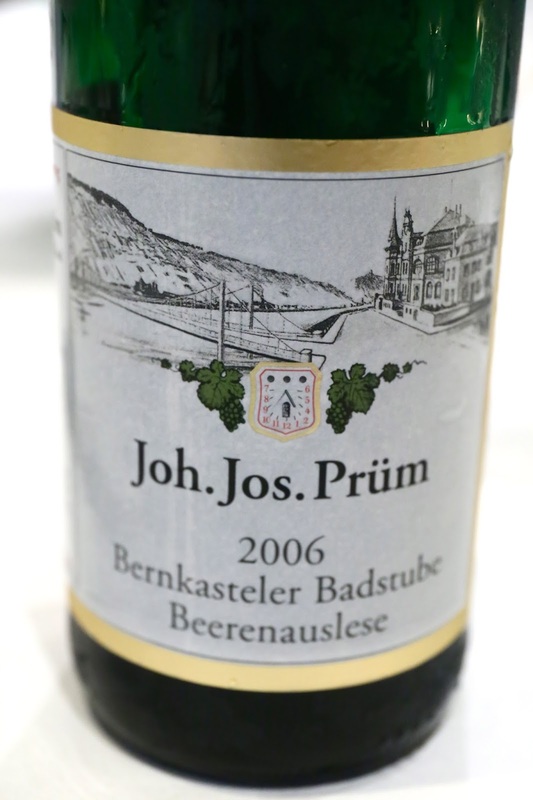 Prüm Bernkasteler Badstube Riesling Beerenauslese - tons of orange blossom and honey, with acetone and white flowers. Sharper nose here, a little pollen, and the polyurethane really came out later. 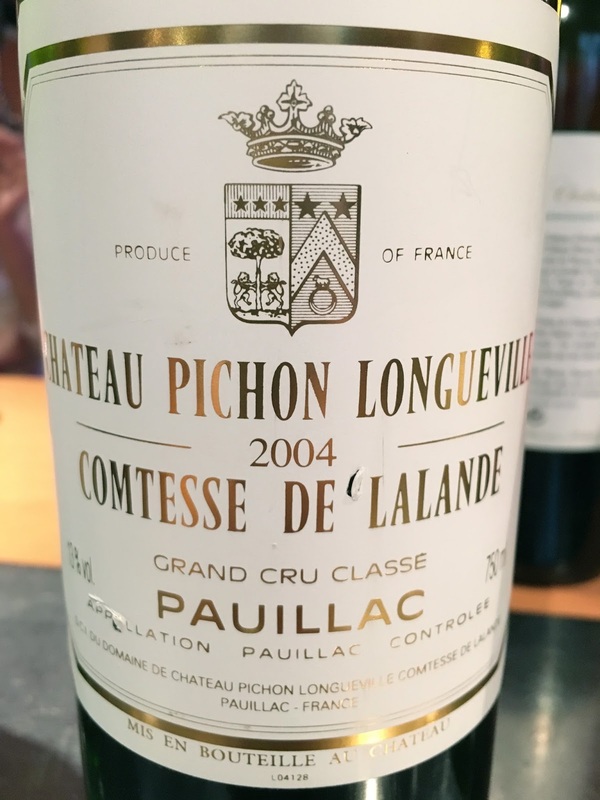 Sooooo rich and unctuous, and of course sweet like nectar. A beautiful wine. Lunch at Grand Shanghai Restaurant in Singapore. 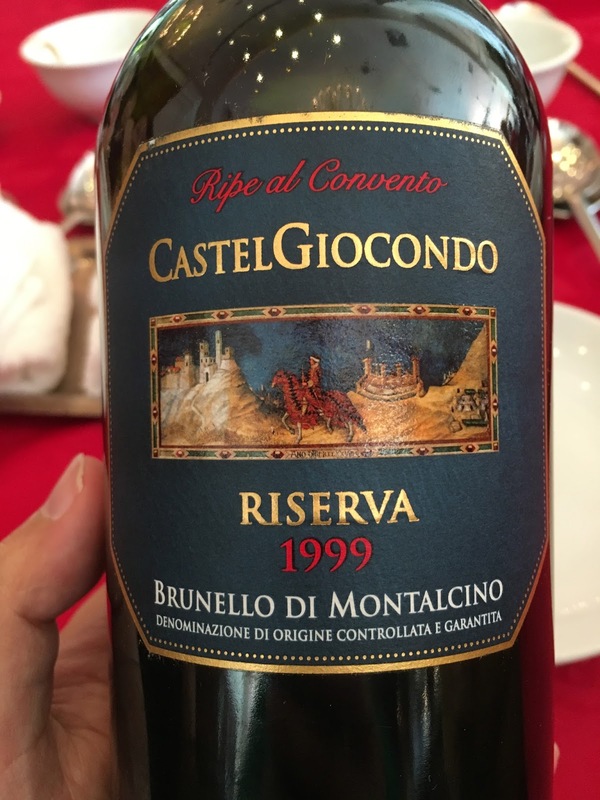 1999 CastelGiocondo Brunello di Montalcino Riserva Ripe al Convento - nice and smooth on the palate, but tannins are still there. Drinks at a friend's house in Singapore. 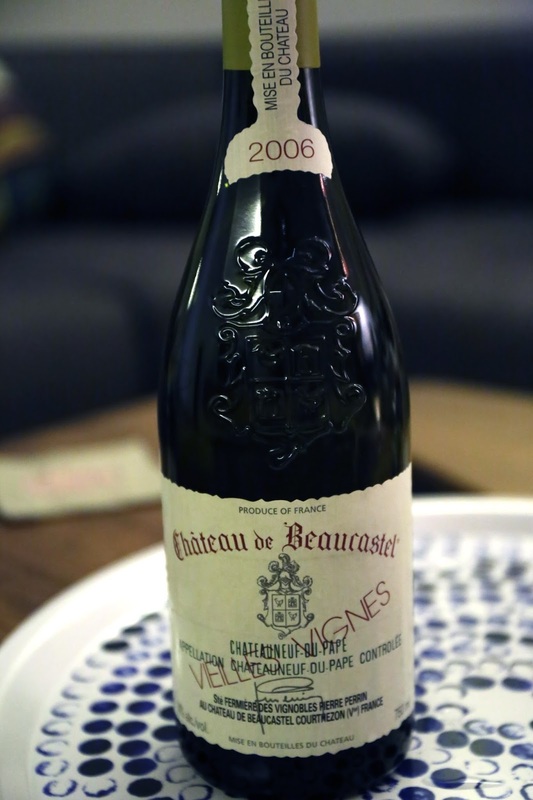 2006 Beaucastel Blanc Rousanne Vieilles Vignes - lots of tropical fruits like mango, ripe and sweet on the palate. Drinking deliciously. Dinner at the Tippling Club. 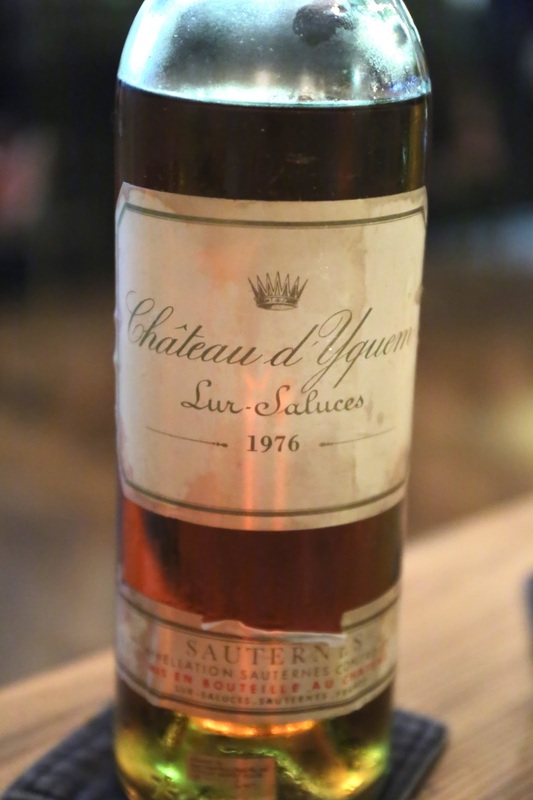 1976 Yquem - double-decanted due to a broken cork. What a lovely wine! 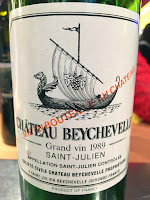 Loads of honey, nutty, grapey notes... with dried prunes and Medjool dates. The wine opened up with time and just got richer and more amazing over the course of the evening. 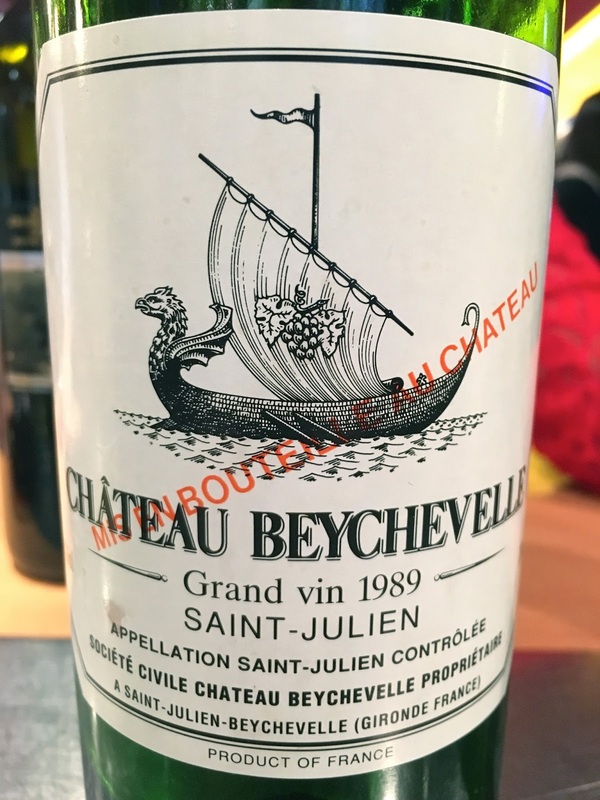 Such an incredible privilege to be able to drink this 40-year old nectar! 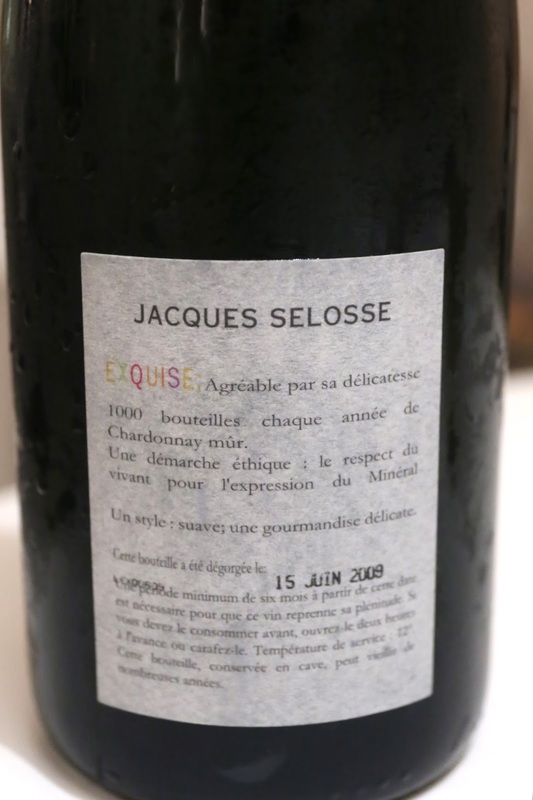 2001 Comte de Vogüé Musigny Vielles Vignes - opened for an hour prior to decanting. This needed to be chilled to a more suitable drinking temperature. A little smoky with leather, eucalyptus, dried herbs, and forest notes. Long finish. 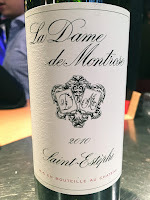 Dinner at Neighborhood with Domaine de Montille. Étienne de Montille was in attendance. 2013 Deux Montille Bourgogne Chardonnay - toasty, oaky, some minerals. Good acidity. 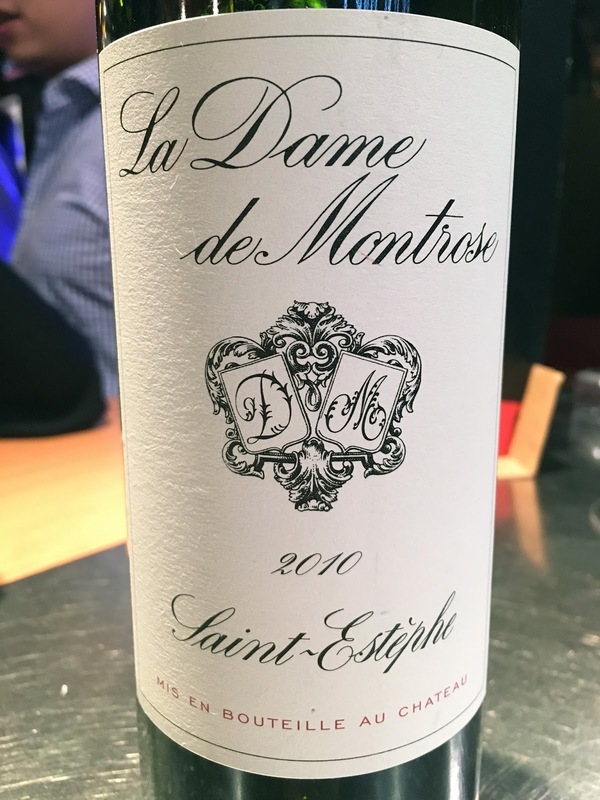 2013 Deux Montille Saint-Romain Le Jarron - lovely toasty notes, very fragrant, nice citrus notes with minerals. Good acidity. 2013 Domaine de Montille Meursault Les Narvaux - more minerals, even better and more fragrant. 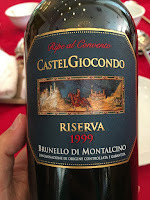 Softer on the palate than expected, without too much acidity. 2013 Domaine de Montille Bourgogne Pinot Noir - good fruit, a little sous bois and eucalyptus. 2013 Domaine de Montille Beaune 1er Cru Les Sizies - the fruit was somehow more muted, with more eucalyptus, leather, and animal notes. 2005 Domaine de Montille Corton-Charlemagne - very floral, so elegant, almost a little caramel. 2001 Domaine de Montille Puligny-Montrachet 1er Cru Les Caillerets, en magnum - this was so beautiful, with sweet and creamy corn, almost like corn ice cream, and nice toasty notes. Some ripeness on the palate here. 2005 Domaine de Montille Volnay 1er Cru Les Champans - nice leather notes, nice and fragrant. 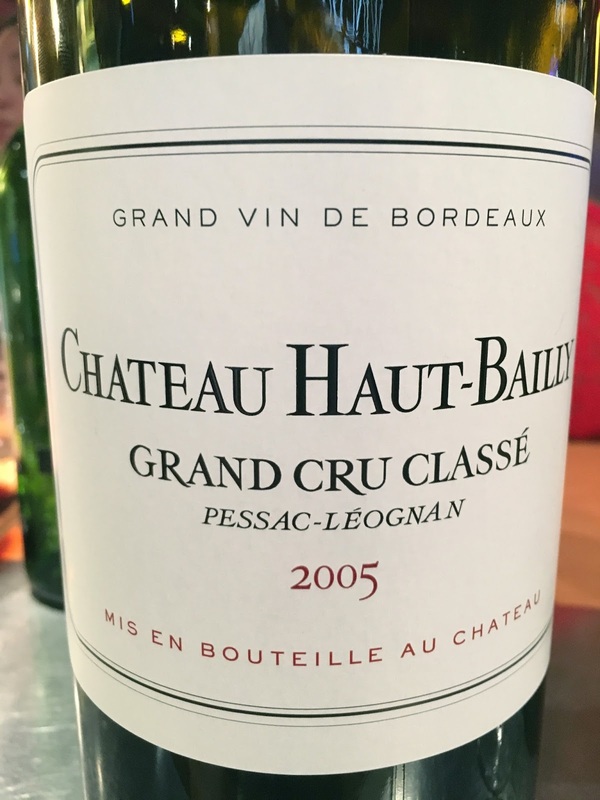 Reasonable concentration and tannins. 1999 Domaine de Montille Volnay 1er Cru Les Taillepieds - more spices, more mature, with black fruits, cedar, and almost a little caramelized. Richer and really beautiful. 1995 Domaine de Montille Pommard 1er Cru Les Rugiens - so fragrant, with animal, leather, meaty, and a little smoky notes. Really nice and sweet fruit. Also a little metallic and iron. 'Rugiens' derives from rouge, which refers to the red soil full of iron oxide. 2005 Vincent Girardin Puligny-Montrachet 1er Cru Les Folatieres - very nice and buttery, good amount of toasty notes. Delicious to drink. 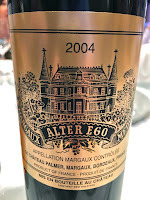 2003 Yquem, en demi-bouteille - really sweet, nutty, with marmalade notes. Rich on the palate. 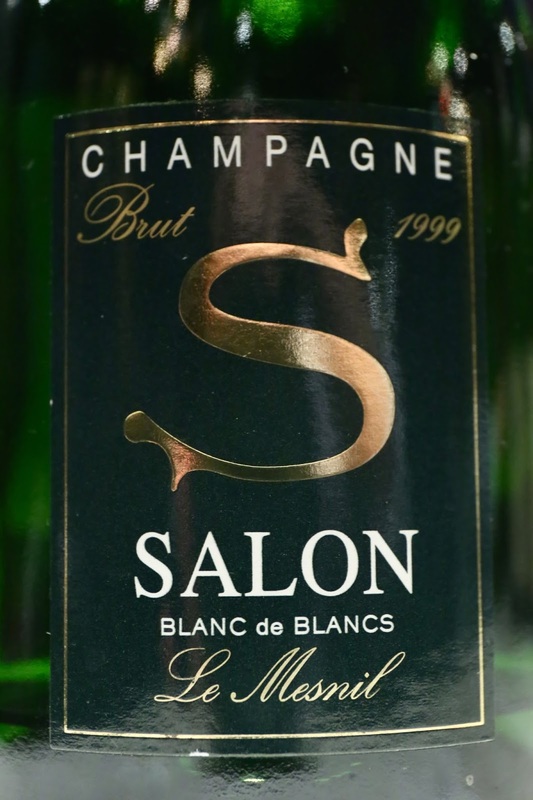 1999 Salon - a little tight and not showing to much. 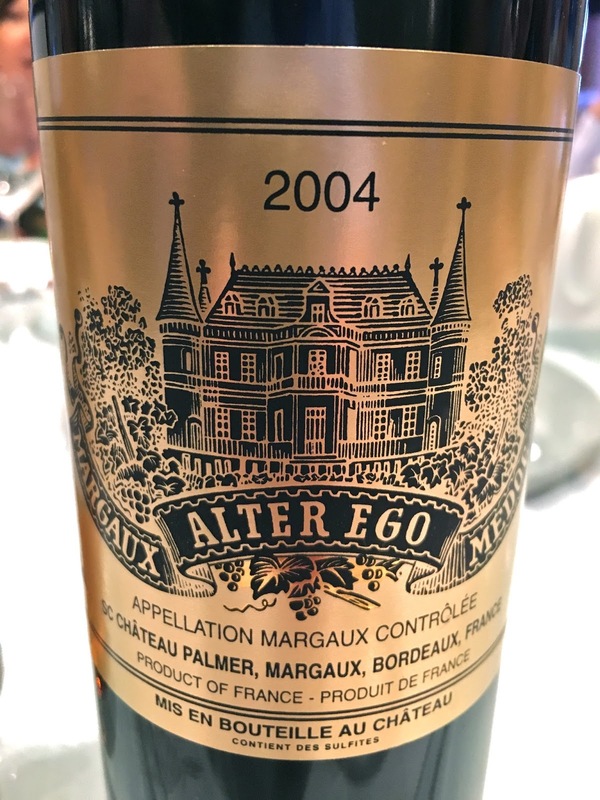 Not too oxidized, nice with a little caramel. 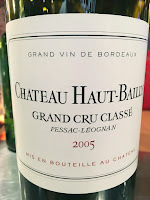 Later on it got nicer, showing some minerals and ripeness on the palate. First pair: popped and poured from bottle. 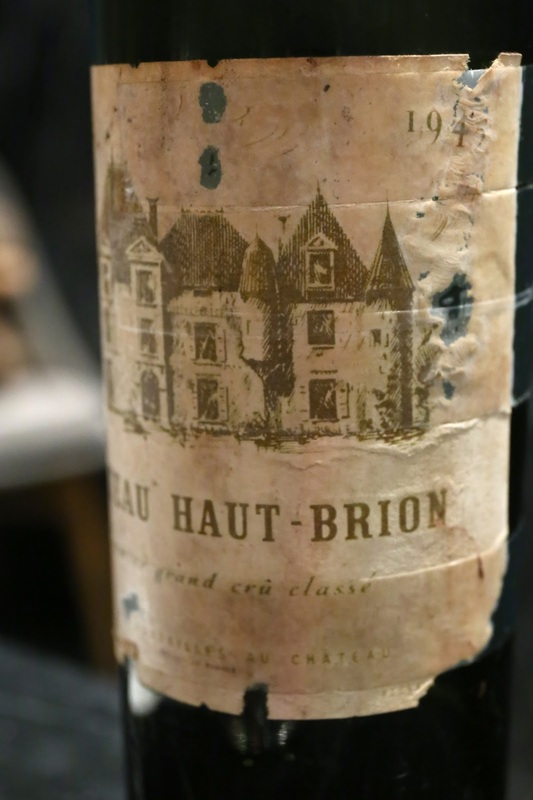 1945 Haut-Brion - smoky, a little brett. Ripe and sweet on the nose, very upfront. Also a little sweet grass. Soft and kinda sweet on the palate. Beautiful with the first pour, but actually went downhill with the second pour. 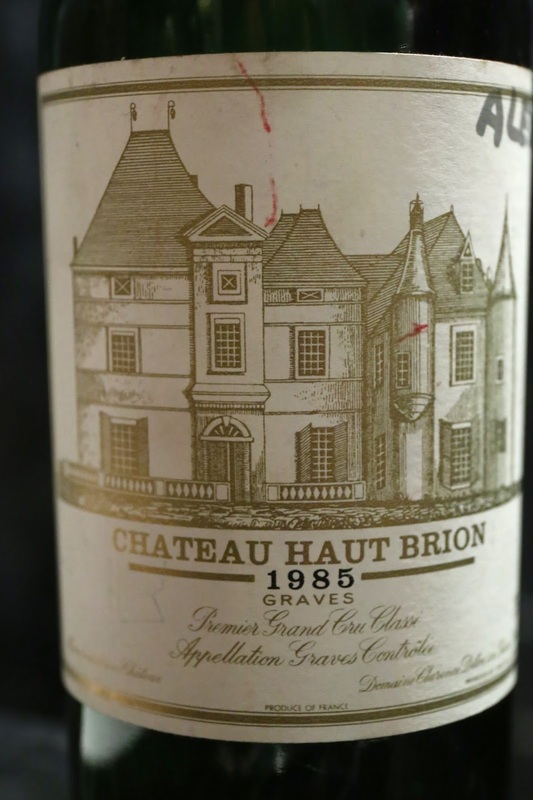 1985 Haut-Brion - nose of sweet grass, fruity, a little smoky and earthy. A little more oxidized. 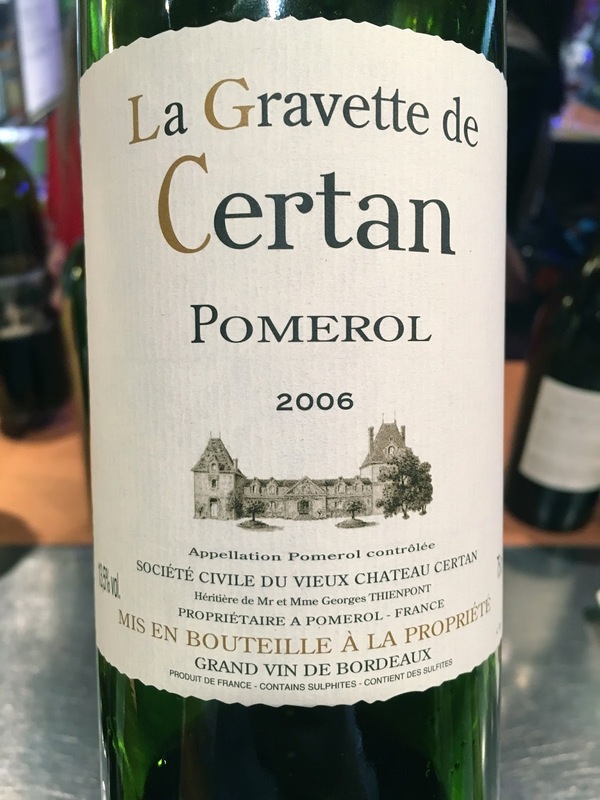 More fragrant with cedar notes, and a little stewed prunes. 93 points. Second pair: decanted for 1½ hours prior to serving. 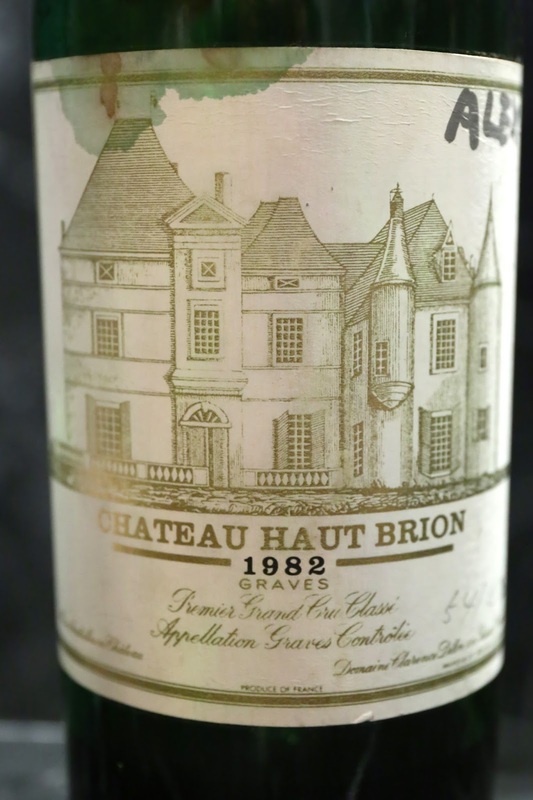 1982 Haut-Brion - smoky, a little brett, a little oaky, fragrant, and nice. Somewhat medicinal, a little savory, and leather. 93 points. 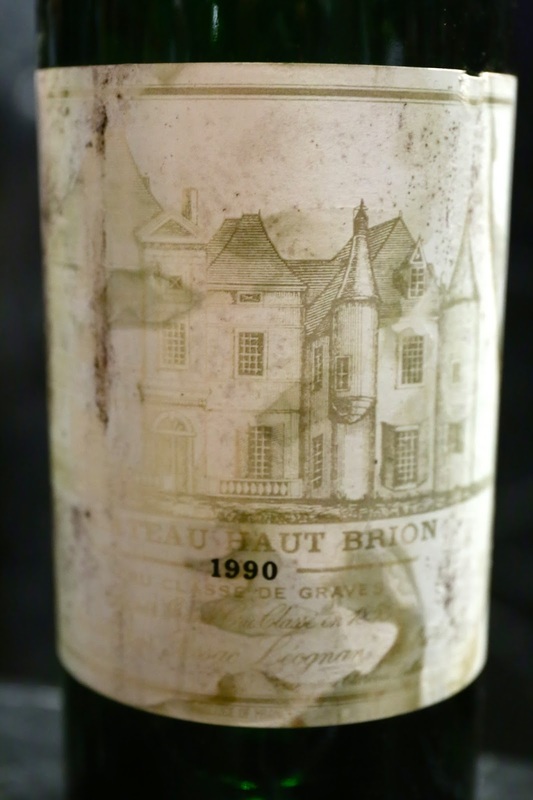 1990 Haut-Brion - nice with cedar notes, some savory soy sauce, slightly medicinal with leather notes. 94 points. Third pair: decanted for 1 hour and 40 minutes prior to serving. 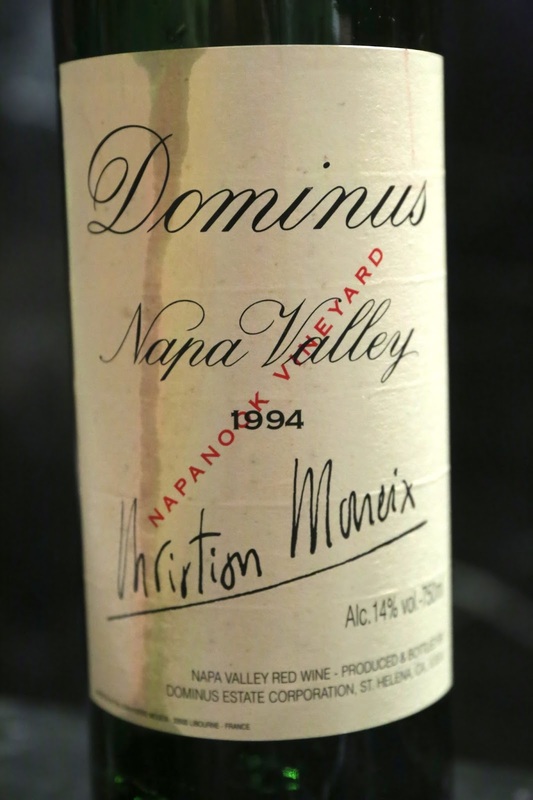 1994 Dominus - more concentration here. A little more mint, a little fragrant cedar. A hint of leather but also pungent. Later on more medicinal notes. 95 points. 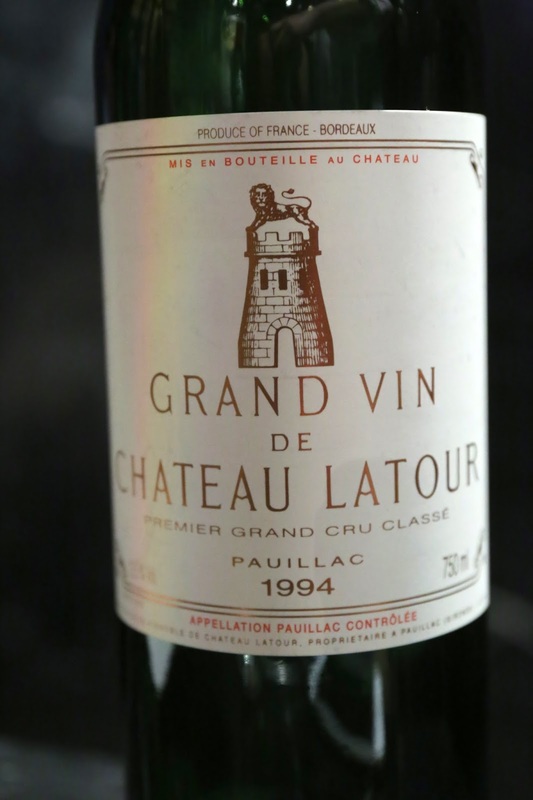 1994 Latour - tighter, showing a little burnt rubber. 92 points. Fourth pair: decanted for almost 2 hours prior to serving. 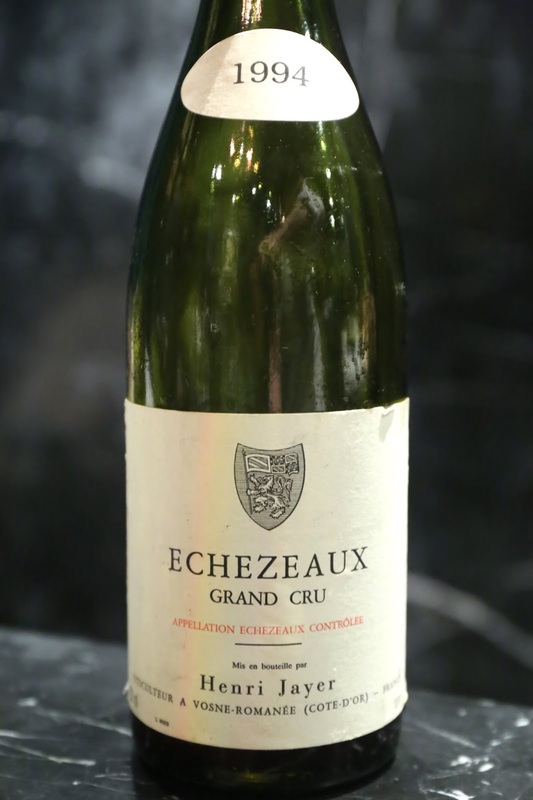 1994 Henri Jayer Echezeaux - really grassy and vegetal nose, and I believed this was corked. Underneath there was a little fruit. 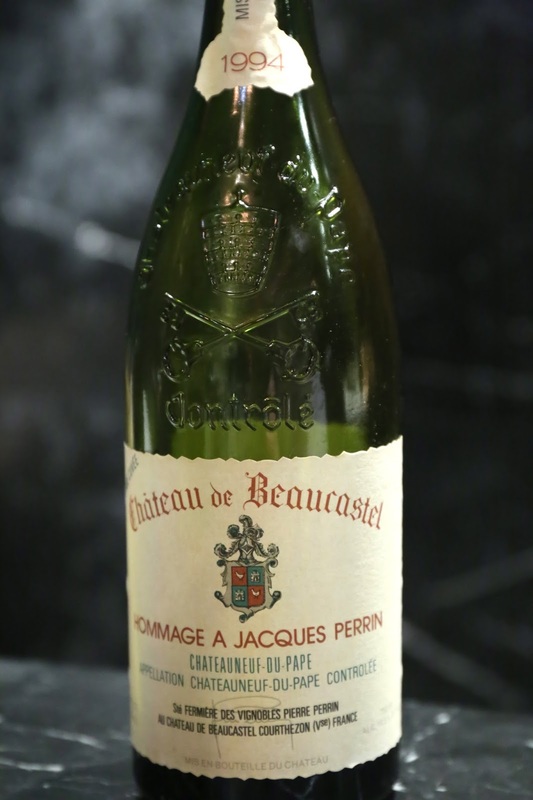 1994 Beaucastel Hommage à Jacques Perrin - leather, violet, sweet on the nose. Really nice. 95 points. 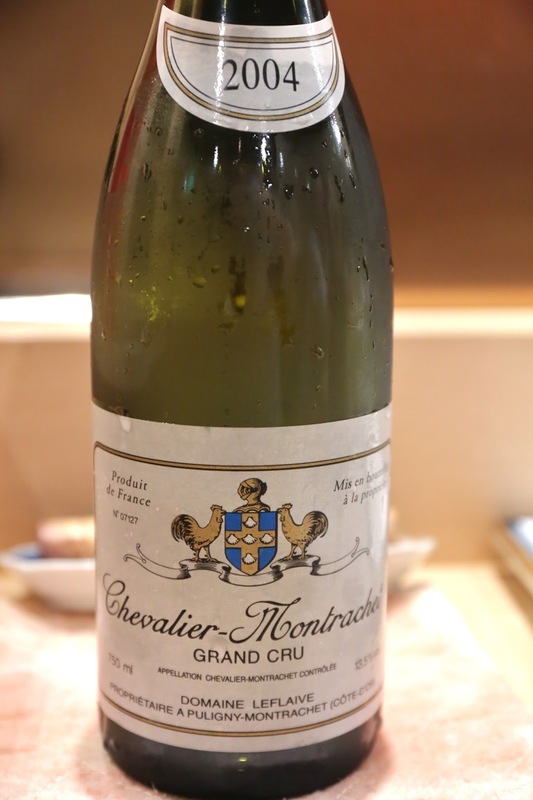 2004 Domaine Leflaive Chevalier-Montrachet - CORKED. Pretty grassy and green. 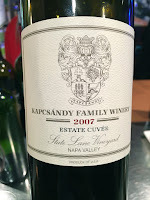 With some coaxing came a little toasty oak, a little sweetness. 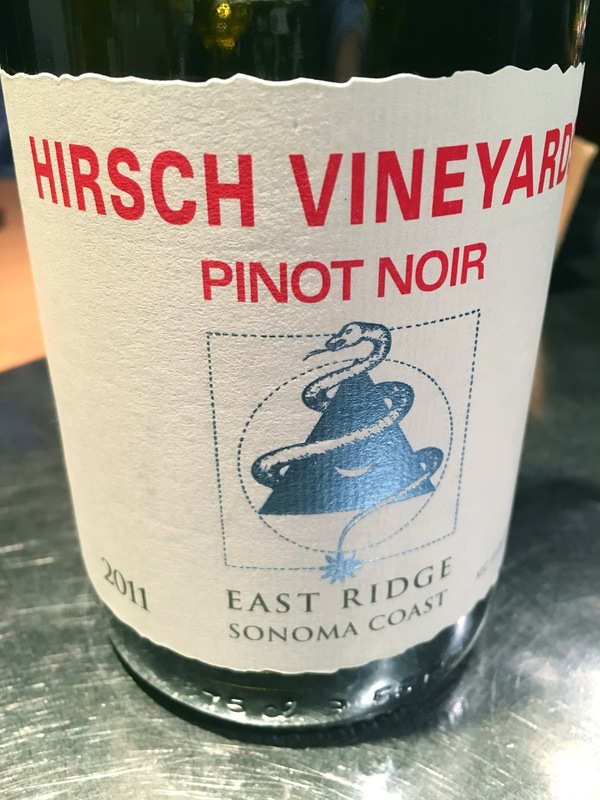 Nice acidity on the palate. 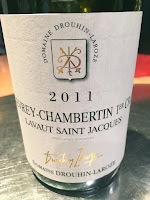 2006 Christophe Roumier Charmes-Chambertin aux Mazoyeres - opened for an hour prior to serving. Lovely sweet fruit here with nice forest notes, and the wine gained weight in glass. Nice balance but lacking concentration.